Boots N Blisters' Big Break. Robbie, Caity and I are now taking some time out to be together as a family... But with so many good friends amongst you we are certainly not saying goodbye. We will continue to get together once a month on a Wednesday, as long as enough of you want us to. And some Fridays too! N.B. These sessions are unaffected by Monday & Wednesday closures. 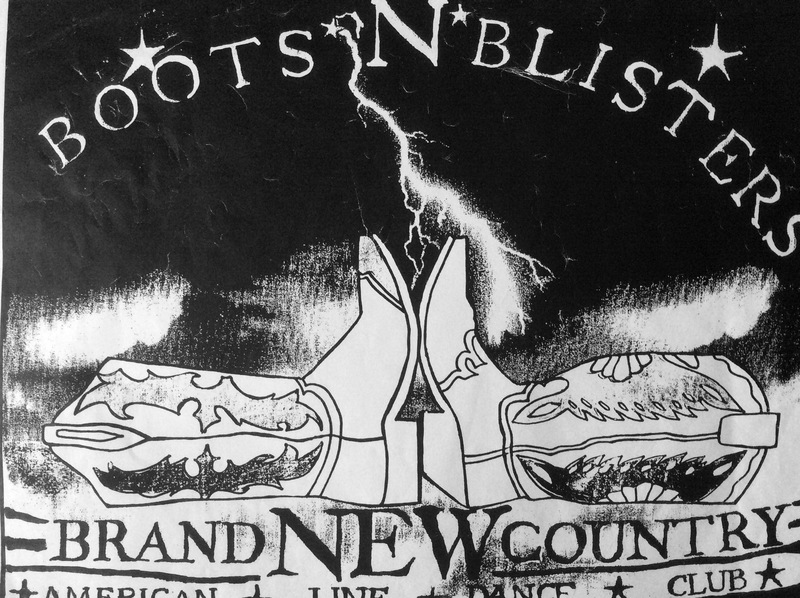 Boots N Blisters... Past, Present and Future. 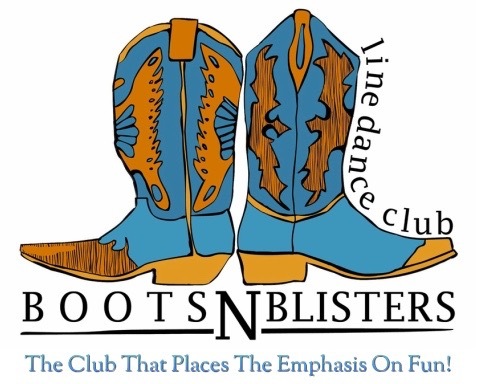 Boots N Blisters is a South London based Line Dance Club, where the atmosphere remains as fun, friendly and lively now, as it was when it was founded back in 1996. During that time we have featured on Tv and Radio on numerous occasions, including appearances on ‘This Morning’, ‘The Graham Norton Show’, ‘Boots The Chemist’s Christmas Commercial’, ‘Taste TV’, ‘Loose Lips’, ‘Radio 5 Live’, ‘Heart Radio’ and various local BBC Radio Shows, ‘The Disney Channel’ and most rewardingly a series of appearances on ‘The Richard & Judy Show’. In 2003 we were the last club to win ‘UK Club Of The Year’ in the internationally renowned Linedancer Magazine’s Crystal Boot Awards, having been finalists the year previously. That's our boot at the top of this page! and the Big Breaks will continue also as Reunions. We have danced, we have laughed, we have sung... we have eaten haggis, spaghetti bolognese, chilli, and even four course dinners! ...We have dressed in every theme that we have been able to manage so far...we have worn mad hats, crazy wigs, we have done the Lambeth Walk, the Can Can and the Red Hot Salsa (couples version for added humour). We have been in the presence of the Queen... that is Elizabeth I , Elizabeth II and The Queen Mother... more fairy godmothers than I am able to remember, not as many Prince Charmings...but clearly enough for more than half a dozen weddings due to connections made at Boots N Blisters, add to that solid, lifelong friendships formed, some who feel more like family than friends. We have had Hula Hoop Competitions, played Musical Statues, Musical Chairs and Musical Bumps... We have sung Karaoke and we have even done the Okie Cokey. We were dancing Santa's on prime time TV, been on numerous Beanos to Selsey and we even went on Safari to Bournemouth. Summer holidays, winter warmers and autumnal breaks...always...yes always with the sunshine! We have seen our lovely East Anglia hotel ripped down for a Travelodge, St Thomas More's turned into a trendy Cinema, and St Cyprian's into luxury flats (apparently) and here we are...still dancing in line. We may be stepping back a little, but not due to a lack of demand...and we are so very grateful for your loyalty and support all these years...it is remarkable. You are remarkable! These are some of the happiest years of our lives, all our memories are entwined with Boots N Blisters...with all of you. ...The fun we have experienced can never be taken away, but there can always be more. ...And that is where we are at...remembering the past and creating new memories right now. ​We hope that you are going to join us for the rest of the ride... but be prepared to hold onto your hats! We are going to continue to meet, once a month, on a Wednesday for a Reunion Party. Our hope is that we will be able to bring together those who are able from Mondays as well as Wednesdays, as well, of course as any of our friends who have supported us over the years...it will be an inclusive welcoming party night. Each time we get together, it will be a chance to step back exactly to where we left off, 'as if we have never been apart', as it always is with 'old' friends... but also with the music and dances as well... We are bottling the feeling...the feel good dances...the friendships and the atmosphere and bringing it back once a month to enjoy. There will be walk throughs and reviews where required but mainly...just some good old fashioned dancing, fun and laughter. All Of These Dates Are Booked & Will Run As Long As We Have The Support. Downham Dollies are my group of over 50's ladies and men who meet at Downham Leisure Centre every Tuesday. These sessions are subsidised and entrance fee is nominal. Classes are drop in. Beginners and Newcomers always welcome. In this session I teach at a lovely gentle pace classic and sometimes newer dances that the main class already know, and sometimes dances that I am currently teaching in the main class if they are a simpler dance- but at a much more relaxed pace. Explaining carefully every step combination and laying down a good foundation for moving on to the main class. Some people choose not to move on to the main class, and stay with this pace, and that is perfectly good with me as long as everybody is having fun. Dancers who are beginning to feel more confident are invited to join the next class after this session has finished so as to practice the dances that they have leaned (whilst still attending beginners). Once in a while we will have a restart, at which time, those ready to move on will do so to make way for new dancers. In this session we start with simple classic and newer dances so that those dancers who have been learning in the earlier class can dance alongside the more experienced dancers. During this time I will also call 'split floors' where I will divide the floor in two so as the less experienced can dance either a simpler or classic dance at one end, while the more experienced can dance another at the other end. I also during this session teach fun, mainly newer dances whilst always finding time to dance the ones that the group have learned over the years. Last Tuesday of the month is 'All Requests Tuesday' Where the group call the shots and we cram in as many dances into the session as we are able. These sessions in Downham, as with all the Boots N Blisters sessions, are very much about having fun. There is nothing formal about it- learning dance as a hobby should be fun...and is. All I can say is I know I walk away from there every Tuesday on a high- and feel blessed to have the opportunity to teach such a lovely, positive bunch of young minded individuals. For more info call or send a message via the contact form- or if that's all you need to know just turn up. If it is your first visit or you have not yet given me your contact number to check here to make sure I am not on annual leave that week. Downham Leisure Centre (same turning as Cooperative at the very top of Downham Way) 7–9 Moorside Road, Downham BR1 5EP. There is a busy carpark on site... if you park there you can sign in with your contact and car reg details at reception as parking is restricted to 90 mins- and they are heavy with the fines. ...There is also parking in local streets and is well served by buses. ​Saturday; Fantastic Buffet Style Breakfast~ cereals, yoghurts, fresh fruit, croissants &/or full English…(One of the best I have had!) eat as much as you like! 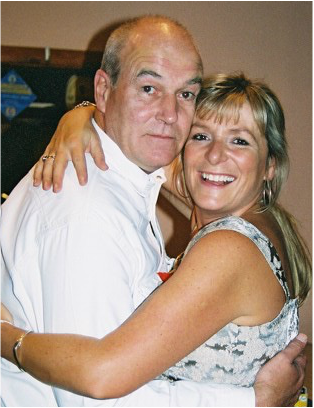 Classic Line Dance Tuition & Disco for all standards & Free time to explore. Sunday; Full Buffet Style Breakfast~ again, eat as much as you like! Old Enough To Know Better... Still Too Young To Care!